Knowing your target audience is important to the success of any design endeavor, and gamification is no exception. It is helpful to know if you are trying to engage a twenty-five-year-old male call center agent or a forty-five-year-old female finance professional. To be successful, just as in user experience design, the gamification strategy needs to be based on a good understanding of your player. 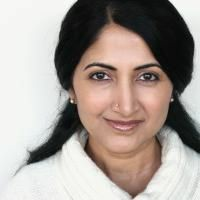 Amy Jo Kim (footnote 1), a renowned author and designer of social games, has contributed to popular games such as Rock Band, Sims Online, Moshi Monsters, and many others. She urges game designers to refer to the target audience as players instead of users, the term used in the software design industry. This distinction highlights the fact that the players' participation is voluntary (footnote 2) and they could walk away at any moment. This advice holds true for gamification as well. 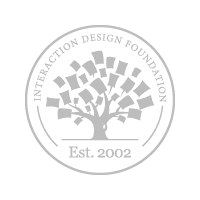 Gamification does not simply serve a utilitarian purpose, but aims to engage, motivate and delight, which is similar to how a successful game designer approaches its audience. They anchor the product team's imagination around the end user. It prevents them from designing for the elastic user, which happens when various features and functions are added on as the project proceeds, resulting in a confusing and sub-optimal end-user product experience. They guide the team's decision-making and prioritization during the design process. They create empathy for the end users, and humanize their needs. 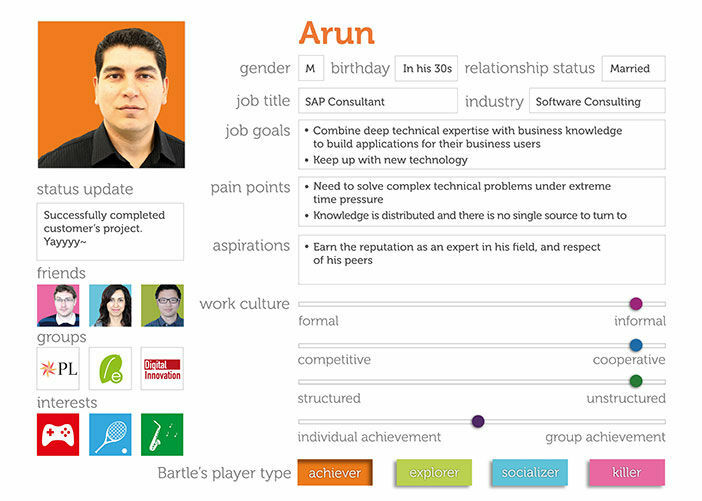 Personas or profiles remind the team of the ultimate recipient of their hard work. A typical user persona, in a business software context, describes the user's business goals, experience and aspirations, along with basic demographic information such as age, gender and education. Enterprise software products tend to target more than one persona due to the interplay of different specializations and roles within a business context. In cases where there are multiple personas interacting with the system, some may be identified as primary, while others may be secondary or supplementary. 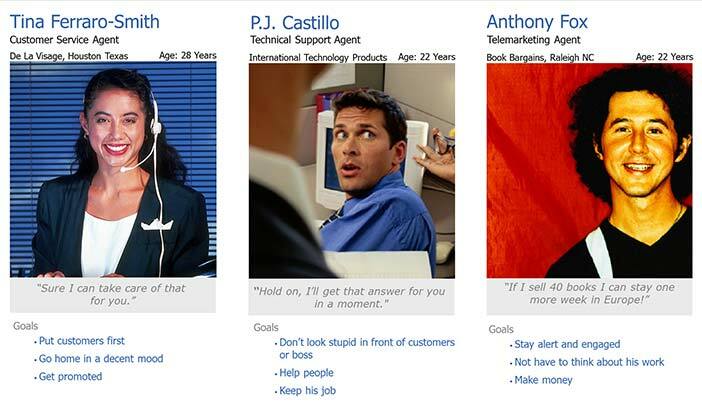 Fig 3.1 is an example of three user personas in a call center. Courtesy of Janaki Kumar. Copyright: CC-Att-SA (Creative Commons Attribution-ShareAlike 3.0 Unported). The best way to gather information for your persona is to observe the target users in their natural environment. This technique is called site visits/field research, or contextual inquiry. We have provided a curated list of research techniques in the Appendix section of this book. When introducing gamification, we recommend that you go beyond the basics to understand the player's personality. This will provide an insight into how to motivate him/her using gamification. In this chapter, we provide a template that you can use to gather this information. You may use this as a starting point and modify it for your needs. Demographics are an important aspect of players' multifaceted personae and provide critical insights on how to engage and motivate them in an enterprise context. The best way to get this information is to conduct a site visit to a target department(s) that will use the product and observe the distribution of males vs. females. If males form a clear majority, make your persona a male, and if not, make it female. If the distribution is 50/50, the choice is yours. Some product teams may specifically want to target a gender to increase market share. In this case, the persona may be of this targeted gender even if it does not form the majority today. Why is this relevant to gamification? It provides critical input into the type of game mechanics that will engage the user. 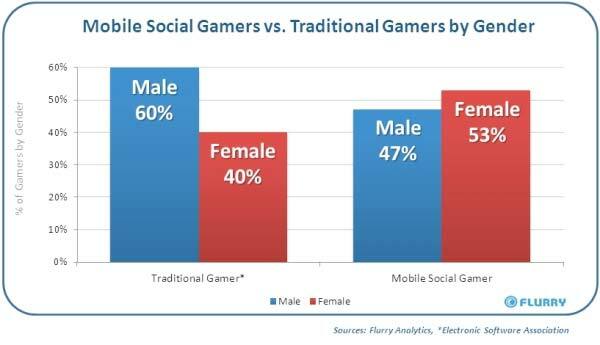 Studies have shown that traditional games such as competitive games tend to attract males, while social and mobile games attract females. Having this knowledge upfront can give valuable guidance to the product team with regard to gamification. Copyright © Flurry. All Rights Reserved. Used without permission under the Fair Use Doctrine. See the "Exceptions" section (and subsection "fairUse") of the copyright notice. Similar to gender, the best way to get players' generation information is to observe a typical department or group that is using or will use the product. An alternative method is to send out a survey to the target users and gather basic demographic information. Yet another approach is to do research online using LinkedIn or Facebook to understand the generation of the target user. Research shows that there are significant differences in attitudes between the generations in the way they approach work. Generation X or Gen X refers to those born between the early 1960s and the early 1980s. They tend to be hierarchy oriented and do not tolerate failure. Generation Y or Gen Y refers to those born from the early 1980s to the early 2000s. This generation grew up with videogames, they expect immediate feedback, and they are willing to take risks and endure "epic failure" (footnote 3). They have 10,000+ hours of experience of video gaming experience under their belts. This knowledge is relevant for gamification since it gives a good indication of the receptiveness of the player to game mechanics. For example, Gen Y players may have a higher expectation of system feedback than Gen X, and may be more willing to explore the product to learn about its capabilities. These are important clues to which you should pay attention when gamifying your product or service. In the enterprise software context, Industry refers to the category of the business at which the software is targeted. Examples of industries are healthcare, retail, high-tech, finance, consumer-products and education. This is an important aspect of the player persona and gamification. Each industry has unique norms and practices and these need to be considered as part of defining an effective gamification strategy. To identify the target industry, a good place to start is to interview vision keepers or key stakeholders. Other good techniques for early concept stages are surveys or questionnaires, focus groups, observation, co-innovation partnerships with strategic customers, analyst reports. For new releases of existing products, good sources of information are customer lists and web analytics, specifically usage data (if available). 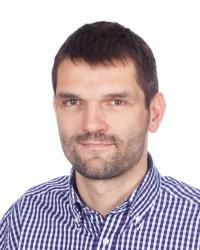 Even when creating a standard product offering that will fit a variety of industries, it is good practice to document the product team's assumptions with regard to target industries to create transparency and a common vision. The job title or role is an important part of a person's professional identity, both internal and external to the organization. Examples of job titles are software developer, sales representative, assembly line supervisor, call center manager. Examples of roles are customer, supplier, teacher, student, doctor, nurse, and citizen. It is important to capture this as part of the player persona since it will provide valuable ideas for future design possibilities such as the type of badges and levels that will appeal to this player. How to get this information: If this is a new product, techniques such as interviews, online research via professional communities like LinkedIn, market research documents could be a good place to start. If this is an incremental release, an online survey targeted at existing users can yield interesting insights into job title norms in your user community. To truly understand the nature of the job, it is not sufficient to simply note the job title; you need to look into the details of the job goals. A sales representative in one company may have different responsibilities from a sales representative in another depending on the industry, size of the company and experience of the individual. This information can provide valuable insights when it comes to gamification. How to get this information: For version one products, online job sites such as Monster.com and LinkedIn can be a good place to start the research. Conducting 1:1 interviews with target players is a great way to learn the full breadth of the job responsibility. Identifying user's pain points can go far to uncover design opportunities. Incorporating these pain points into the player persona can be inspirational to the product team in finding creative solutions to them, or providing incentives to the player via gamification. Direct observation is one way to identify pain points. This may be combined with a structured interview to allow players to express their pain-points directly. If this is an existing product, web analytics and usage data combined with problems reported by existing users can offer rich insights. Aspirations, in the context of the enterprise, could relate to the players' career aspirations, or wish list for the product. For example, in a customer service context the player may want to be considered a product expert among his peers. Including this as part of the persona humanizes the player and helps the product team gain empathy towards him/her. The best way to get this information is through qualitative research, such as interviews, or surveys. It may take a skilled researcher to elicit this information from a player. One way is to list potential aspirations, and ask the player to rank them by relevance. A finance department may be more formal than a creative department. A high tech company is more informal than a bank. This information is useful in designing the general tone of gamified software. Interestingly, competition is not always motivating to all player types. Cooperation and collaboration may be more motivating in some cases. Understanding the player's response to competition provides valuable insight into selecting the appropriate gamification strategy. For example, leaderboards are effective in motivating competitive individuals, and may be demotivating to others. Some work cultures are more structured than others are. While some may provide strict guidance to their employees on their tasks and responsibilities, other environments may hold them responsible for the business outcome, and allow more freedom to the employees on the exact tasks. The culture of the player's environment has a big impact on the success of gamification. Does the culture emphasize harmony over competition? Alternatively, does the culture reward individual over group achievement? These are very important aspects to consider when designing game mechanics. For example, if the culture focuses on harmony, over-emphasis on mechanics that engender individual achievements (such as leaderboards) may not be a good fit. When the design is not a good cultural fit, it may result in demotivation and negative perception of the gamification efforts. Richard Bartle has created the Bartle test of Psychology (footnote 4) that classifies players into four categories based on their gaming preference. They are Achiever, Explorer, Socializer and Killer. Everyone has elements of all four-player types to some degree. The Bartle test determines the dominant distribution. Achievers play to gain points and status. The frequent flier statuses appeal to Achievers. Ten percent of players are of this type. Explorers love to discover new aspects of the game. They do not mind spending time doing repetitive tasks to unlock new levels of the game. Discovering "Easter Eggs" — (footnote 5); brings special joy to Explorers. Ten percent of players are of this type. Socializers play for the joy of interacting with others rather than for the game itself. Facebook games such as Farmville appeal to socializers. The majority of players (as much as 80%) fall into this category. Killers are similar to Achievers in that they like to win points and status. However, they go one-step further and find joy in seeing others lose. Interestingly, less than 1% of players are of this type. 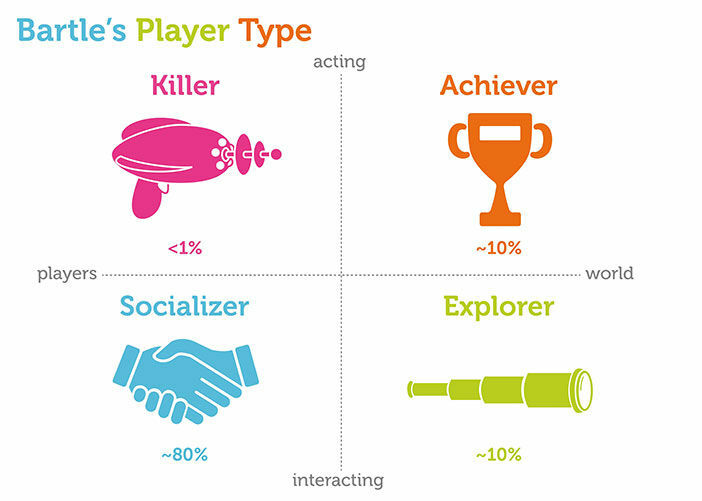 Understanding the type of player will help you choose the game mechanics that will be most appealing to your target audience.For example, if you are designing an application for Sales Representatives and you observe that they are mostly Killer and Achiever player types, a prominent display of leaderboard may be motivating to your player. If your players are mostly Socializers, mechanics that enable community collaboration may be more engaging than a leaderboard. Here is a template of the player persona for your use. It allows you to represent all aspects of the player persona concisely. You may use this as a starting point and modify it based on your needs. The first step in successful gamification is to know your player. 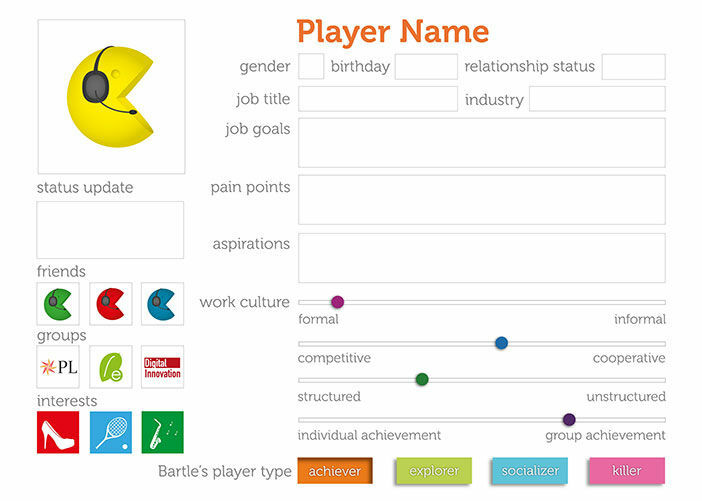 A player persona is a design artifact that captures the multi-dimensionality of the player including demographics, professional goals, pain-points, aspirations, and work culture and player type. In this chapter, we have provided a template that you can use to create a player persona — an important part of creating an effective gamification strategy for your enterprise application. With the information gathered through the interviews (referred to in the previous chapter), developer personas started to emerge. They typically are highly paid professionals, who work in IT for an SAP customer or as a consultant. Their success depends on open communication with their peers. They are expected to combine their deep technical expertise with business knowledge to build applications for their business users quickly and effectively. If they are new in their role, they need to quickly learn the basics and understand the range of technical capabilities that are available. Experienced and highly skilled professionals on the other hand, look for guidance to solve complex problems, and for recommendations on IT strategy. The players are looking for a wide range of information from code snippets, to complete blue prints to implement SAP solutions, to best practices per industry. Furthermore, they are usually under time pressure and need this information quickly. Join 147,518 designers who get useful UX tips from our newsletter.